Where Are My SQL Servers? At a customers site I bumped into an issue where not all SQL Servers were properly discovered. These servers had the Microsoft Monitoring Agent (MMA) installed but somehow SQL running on those servers wasn’t discovered at all. Besides this the MMA run just fine and all other components running on those same servers were neatly discovered. So somehow there was something at play here limited to the SQL server components itself, blocking SCOM to discover it properly. Time to for troubleshooting. First of all a check was run whether the local system account had sufficient permissions to query the servers. And indeed, no special GPOs were in place or other security settings enforced compared to the SQL servers which were neatly discovered by SCOM. So perhaps WMI was at play. A basic WMI test worked out jus fine. So far so good. But still it could be that the WMI components related to SQL server weren’t okay. Time for a deeper dive. And soon after it, the SQL server running on that server was neatly discovered and monitored. Awesome! Sometimes it’s handy to use the old SCOM 2007 PS R2 Provider in SCOM 2012. Why? Sometimes old PS scripts need to be run and you didn’t find the time (yet) to convert them to the SCOM 2012 PS Provider. After these commands the SCOM 2007 PS R2 Provider is loaded and active. Now you can run your old SCOM 2007 R2 PS scripts. Even though this trick works perfectly, you should only run these SCOM 2007 R2 based PS scripts when you’re ABSOLUTELY sure they don’t harm your SCOM 2012x environment!!! Today Microsoft released Update Rollup 4 for the System Center 2012 SP1 product and its related components. KB2879276 tells more about it. For SCOM 2012 SP1 there are 14 fixes. For UNIX/Linux monitoring there are 6 additional fixes as well. My advice 01: be careful with rolling out this Update Rollup since previous versions introduced sometimes new challenges as well. So it’s better to test this update in a test environment and wait with moving it to production until this update is longer available and update experiences are posted on the internet. 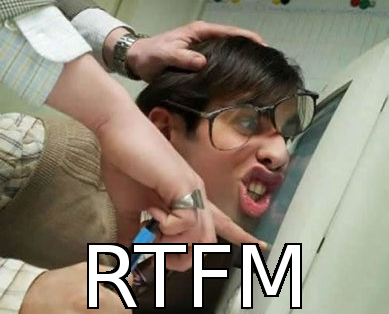 My advice 02: RTFM, RTFM & RTFM!!! The Update Rollup 4 package for SCOM 2012 SP1 can be downloaded from here. Xplat: Where Are The SCX-Certificates Stored? When running a SCOM 2012 based MG which is involved in monitoring UNIX/Linux servers and the Resource Pool used for this purpose consists out of more SCOM 2012 Management Servers, one has to export the SCX-certificates on those very same SCOM 2012 Management Servers and import them on the other ones. However, the tool operated from the command line for this purpose, scxcertconfig.exe, is rather silent. There is not a single statement telling you all went okay. Of course, for the export switch we do see a result (the exported SCX certificate) but when importing those certificates on the other SCOM 2012 Management Servers, there is no feedback whatever. And yes, we may ASSUME everything went just fine, but as we all know, assumption is the mother of all… So how to check for the correct execution of the import command? This is actually simple and straight forward and takes no time what so ever. Run this procedure on every SCOM 2012 Management Server which is part of the Resource Pool, used for monitoring the UNIX/Linux based servers/workloads. Quick Trick: Windows Server 2012 (RTM/R2): Where Are My SCOM 2012 Shortcuts? With Windows Server 2012 (RTM/R2) the good old and well known Start Menu is gone. No, this posting isn’t about a rambling on this topic. None the less, I DO get many questions from people where to locate the shortcuts to SCOM 2012 besides the revamped Start screen. Also because when you use those very same shortcuts on the Start screen and the shortcut refers to a webpage (Web Console, Application Advisor and Application Diagnostics), the new styled IE will open instead of the desktop based version. Many people don’t like that at all. Of course you can change this behavior so the desktop version of IE is always started, no matter what. None the less, many people want to have all the available SCOM 2012 shortcuts on their desktop. Simply copy & paste them to your desktop and be done with it. Or even better, copy it to the folder C:\Users\Public\Desktop\ so EVERYONE will get these shortcuts on their desktop of that server. Whenever your SCOM 2012 environment goes down the drain there is this TechNet posting helping you in order to get things running again. However there are some caveats to reckon with, one of them I already shared. It has taken me HOURS to crack it since I couldn’t find the culprit. Had the help of Kevin Holman who pointed out to me that the problem was in the accounts as found in the Console. But those accounts I already checked and the ones using certificates (binary authentication) were removed by me. And still, this MG didn’t move at all since EventID 29120 was stopping it! After a long search I found it: there was also a UNIX/Linux account. And when I removed that one (it wasn’t used anymore) things started to get moving again . So whenever you are recovering from a disaster with your SCOM 2012 x MG, and rebuilt yourself a new MS connecting to the old SQL databases, don’t forget those accounts, also the UNIX/Linux accounts. Either retype ALL the credentials (USERNAME & password) or remove them like the accounts using certificates. Of course, later on you have to restore them but soon you’ll find yourself in good order! SCOM 2012 Disaster Recovery: It Works BUT Forget The Line Breaks!!! Have had my piece of SCOM today. Wanted to upgrade a very important environment and it went bad. The single Management Server (I know…) was wrecked. The upgrade rolled back leaving me with nothing: the SCOM 2012 SP1 Management Server functionality was gone. Totally. And this surprised me! And no matter what I tried I didn’t get passed it. Contacted some fellow MVP buddies and they also didn’t know what went wrong. And guess what? Now it worked! So within ten minutes I had myself a new SCOM 2012 SP1 Management Server enabling me to reinstall the Console, Web Console and Reporting . I do have some really good friends, in random order: Bob Cornelissen, Stanislav Zhelyazkov, Cameron Fuller, Kevin Holman, Flemming Riis and Oskar Landman. Awesome guys! Thanks for your effort and assistance in cracking this one. Today is THE day! The R2 wave will be released and become general available. Along with it loads of TechNet documentation will become available as well, all about the new wave of R2. I expect it to be removed soon. So when you’re running SCOM 2012 SP1 and want to upgrade it to SCOM 2012 R2 RTM, this is your starting point. Please take your time to read it and understand it. Only then it’s time to plan, prepare and finally execute the upgrade itself. Yesterday while I was upgrading one of my test environments from SCOM 2012 SP1 to SCOM 2012 R2 RTM it was running late. I thought I had covered it all, but thanks to FB and a good friend with a keen eye I was pointed to an omission. But mind the yellow highlighted text, stating Retail. As one of my FB friends noticed: this product isn’t licensed yet, so please run the Set-SCOMLicense cmdlet in PowerShell. So thanks to this much respected FB friend I was able to resolve this issue quickly. Awesome! Thanks buddy! And even though the same KB article about setting the SCOM license tells you to reboot the server, this isn’t necessary. Simply restart the Data Access service on all SCOM Management Servers and you’ll be fine. With the R2 RTM bits available I decided to upgrade at least one of my labs to SCOM 2012 R2 RTM this evening. On my work laptop I run Windows 8.1 RTM with the Hyper-V role and on top of that I have my own SCOM 2012 SP1 environment. So the choice what test environment to upgrade first wasn’t hard at all, it would be the one running on my laptop simply because I demonstrate the same environment to my customers as well. And for that case I simply must run the latest version of the software, no matter what. So I deleted the VM with the RC bits and started the upgrade. Preparation is key for any upgrade and this one isn’t different. So I backed up my VMs, the SCOM 2012 SP1 SQL databases, and exported all the unsealed MPs. This way there is always a way back when things go sour. Also, as it turned out, SCOM 2012 R2 RTM Console requires the Report Viewer 2012 Runtime. And this software has another requirement, as I blogged earlier about. So on both SCOM 2012 SP1 Management Servers I installed both requirements. On top of it all I gave both VMs additional RAM and disk space so the upgrade process would go faster. And of course, the related SQL Server also got additional vRAM and vCPU so it had temporarily more resources available to run the upgrade of the SCOM 2012 SP1 SQL databases to SCOM 2012 R2 RTM and the SCOM 2012 SP1 Reporting update to SCOM 2012 R2 RTM. I started the upgrade on the SCOM 2012 SP1 Management Server which was the first one I installed in the SCOM 2012 Management Group. Simply because during that installation both SCOM 2012 SQL databases were created as well, along the Management Group itself. So that’s the best place to start the upgrade itself from. This went pretty easy. Time to move on to the second SCOM 2012 SP1 Management Server. DO NOT upgrade the second SCOM 2012 SP1 Management Server BEFORE the upgrade of the FIRST SCOM 2012 SP1 Management Server is successfully finished. Otherwise the installer will be trying to upgrade SCOM 2012 SP1 SQL databases to SCOM 2012 R2 RTM level and that might break your whole SCOM 2012 SP1/R2 RTM environment. So be patient and WAIT until the first SCOM 2012 SP1 Management Server is 100% finished upgrading to SCOM 2012 R2 RTM. This makes sense, since the SCOM 2012 SQL databases are already upgraded to SCOM 2012 R2 RTM level AND the second SCOM 2012 SP1 Management Server doesn’t host the SCOM 2012 Web Console. This was also pretty easy. Time to upgrade the SCOM 2012 SP1 Reporting component to SCOM 2012 R2 RTM level. When you have multiple SCOM 2012 SP1 Management Servers you can update these servers simultaneously since the SCOM 2012 R2 RTM installation wizard ‘knows’ by now the SCOM 2012 SQL databases are already on SCOM 2012 R2 RTM level and won’t touch them anymore. Now it’s time to upgrade SCOM 2012 SP1 Reporting to SCOM 2012 R2 RTM level. Simply mount the ISO on the SQL Server hosting the SSRS instance for SCOM 2012 SP1 and run the setup program. With all SCOM 2012 SP1 Management Server upgraded to SCOM 2012 R2 RTM the SCOM 2012 SP1 Agents reporting to those servers will be in pending management, requiring an upgrade as well. That is of course when those Agents are pushed from the Console. When these Agents are manually installed (any installation mechanism outside the Console, like SCCM for instance) they have to be upgraded using the same method. Of course in your production environment you’re likely to have hundreds to thousand of SCOM Agents to be upgraded. Update them in bunches of 20 to 50 and start small at first with less critical servers in order to see all goes as well and as expected. In this setup of mine I don’t have SCOM 2012 SP1 Gateway Servers. So I couldn’t upgrade them . But I expect it, based on my other upgrade experiences, to be a smooth ride as well. Of course, make a BACKUP first before you start so there is always a way back. The upgrade from SCOM 2012 SP1 to SCOM 2012 R2 RTM is a smooth ride for what I’ve seen now. In the days to come I’ll upgrade many other SCOM 2012 SP1 environments as well. Whenever required I’ll update this posting with those experiences. When you want to upgrade your SCOM 2012 SP1 environment to SCOM 2012 R2 RTM you’ll need to install Report Viewer 2012 Runtime first, which can be downloaded from here. The Microsoft SQL Server System CLR Types for SQL Server 2012 can be downloaded from this webpage (half way). Install the correct package and you’ll be just fine when installing Report Viewer 2012 Runtime. Nice! Next week I have the first implementation of SCOM 2012 R2 RTM already. Awesome! SCOM 2007 R2 CU#7 & SCOM 2012 R2 RTM: Does It Work? I have just downloaded the RTM version of SCOM 2012 R2. And tested this scenario with the SCOM 2012 R2 MMA. And yes, this works as well. I have updated the blog posting accordingly. Yesterday evening I had an interesting discussion with fellow MVP and friend, Cameron Fuller. He asked me whether a Microsoft Monitoring Agent (MMA) will work on a server which was formerly covered by a SCOM 2007 R2 Management Group, resulting in a multi-homed MMA reporting to a SCOM 2007 R2 MG and to the SCOM 2012 R2 RTM MG.
And the question is: DOES it work? So it was time to test this scenario. Even more because tomorrow SC 2012 R2 will be released to the public and many companies are still on SCOM 2007 R2 level. For this I built myself to single-server-MGs. This kind of MG is only viable for quick test runs for this kind of scenarios and nothing more. So never ever run such a MG in a production environment or test environment. I always break these MGs down after the scenario is tested. So no activation of the software is required. This server runs SQL Server 2005 x64 ENU Enterprise edition SP4 with SCOM 2007 R2 CU#7 Root Management Server, without Reporting installed. Guest OS: Windows Server 2008 R2 SP1 ENU, Standard edition. This is a single-server-MG for SCOM 2007 R2 CU#7. This server will be monitored by the SCOM 2007 R2 MG in the beginning. Later on this SCOM 2007 R2 Agent will be replaced by MMA and – hopefully – become multi-homed, reporting to the SCOM 2007 R2 MG and the SCOM 2012 R2 MG. Guest OS: Windows Server 2008 R2 SP1 ENU, Standard edition. This server runs SQL Server 2012 SP1 x64 ENU Standard edition with SCOM 2012 R2 RC Management Server, with Reporting installed. Guest OS: Windows Server 2012 R2 RTM, Standard edition. This is a single-server-MG for SCOM 2012 R2 RC. There are multiple test scenarios, where the first two are basic and no-brainers. Scenarios 3 and 4 will more be exiting . This scenario will happen automatically. MMA will know there was an old SCOM Agent (the SCOM 2007 R2 CU#7 Agent) reporting to another SCOM MG. So the MMA will multi-home itself and start reporting to both MGs: the SCOM 2007 R2 CU#7 MG and the SCOM 2012 R2 RC MG. Question here is whether the SCOM 2007 R2 CU#7 based MG will accept the communication from the MMA. Without a doubt the MMA works perfectly with the SCOM 2012 R2 RTM MG as seen with Test Scenario 02. This looks promising since the MMA has indeed multi-homed itself. As expected, it reports to two MGs. One of those MGs is SCOM 2007 R2 CU#7 based and the other SCOM 2012 R2 RC based. How about the SCOM event log on the same server? Best test here is to stop MMA, flush the cache (remove the HealthState folder), empty the SCOM event log and start MMA again. That way we have a nice clean crisp start situation, forcing the MMA to recollect all MPs from BOTH MGs. So whenever the SCOM 2007 R2 CU#7 MG refuses to communicate with the MMA, we’ll know it. Afterwards many other important EventIDs will be logged. But the most important one is EventID 1210 telling us the new configuration of the MMA became active. Basically this EventID shows the MG has accepted the MMA. Test Scenario 4: Will the standalone RTM MMA work as well with SCOM 2007 R2? This can be tested since the RTM version of MMA is already available for download. So let’s download it and install it on the SCOMAgent.sc.local server and see what happens. Let’s run the same check again: Stop MMA, flush it, empty the SCOM even log and start the MMA again in order to see what happens. Okay, EventID 21023 for both MGs is logged. That’s a good start . And YES! EventID 1210 for BOTH MGs is logged as well! And YES, the MMA which is available as a separate download is of a newer version compared to the MMA provided by SCOM 2012 R2 RC. And as it turns out, the version of the standalone MMA is exactly the same as the MMA version used by the RTM version of SCOM 2012 R2. The MMA (up to version 7.1.10184.0 which is part of SCOM 2012 R2 RTM) works perfectly with SCOM 2007 R2 CU#7 based MGs. This is really good news since it opens the path for many organizations still running SCOM 2007 R2 CU#7 and wanting to migrate to SCOM 2012 R2 RTM. SCOM 2012 SP1 > SCOM 2012 R2 RTM. HOWEVER. As it seems now, the MMA communicates fine with a SCOM 2007 R2 MG. So this opens the way to a whole different approach with rolling out SCOM 2012 R2 RTM. Instead of going through the pains of a multi staged in-place upgrade from SCOM 2007 R2 to SCOM 2012 R2 RTM, you instead opt for the option of a Multi-homed Migration scenario. In this scenario a whole new SCOM 2012 R2 RTM MG is built. The MMAs are pushed out to all monitored Windows Servers. In case there is a SCOM 2007 R2 CU#7 Agent on it, the MMA will replace it and become multi-homed. We know now, that the MMA (up to version 7.1.10184.0) works well with SCOM 2007 R2 CU#7 based MGs. MPs containing overrides can be transferred to the new MG as well, even overrides targeted at Server objects since the multi-homed MMA will inject the same GUIDs. Overrides targeted at non-Windows Computer objects. When you want to know more about the Multi-homed migration, read this posting of my fellow MVP buddy (and friend), Cameron Fuller.